In this film the title character Faisal brings his family into financial turmoil after making a terrible mistake. Faisal must then give up his plans of attending a University in the United States to work on a chicken farm in Sudan. Faisal Goes West, Revolve , April 20, 2012. The Sudanese Optimist. 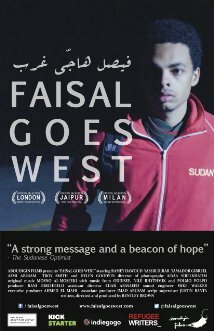 "Sudanese Film: Faisal Goes West." The Sudanese Optimist (online blog). "The Making of An Independent Film: 'Faisal Goes West'." CNN (news source).